You’ll probably already have some idea what you’re looking for. If not, get yourself familiar with the range. There’s a Maestro or Montego to suit the needs of nearly every motorist, from sporty MG’s to a family estate car. To whet your appetite take a look at the information, specifications and pictures under the ‘Cars’ section of this site. Higher spec cars represent better value for money and base models are spartan by today’s standards, but are becoming less common and possibly, therefore, worth preserving. Obviously your main concern when buying a Maestro or Montego will be the state of the bodywork. 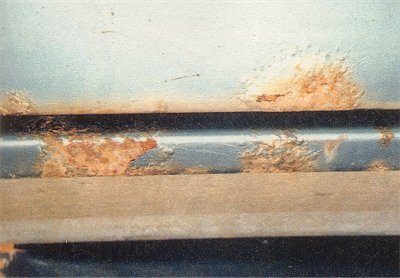 You will do well to find a completely untarnished example nowadays, but a car with serious structural corrosion may be expensive or even impossible to put right – and once this menace takes hold properly it can spread at an alarming rate. Some of the common “rot spots” you’ll need to check are listed below. 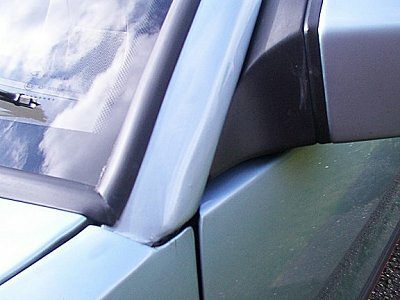 The plastic bumpers become brittle with age and it’s not uncommon for them to crack. Replacements may be expensive unless you can find one at a salvage yard in the right colour. 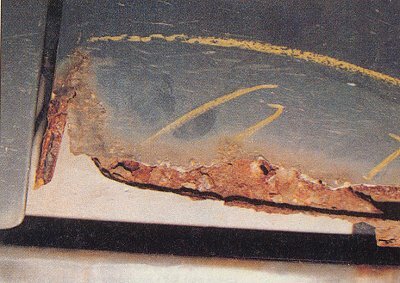 Corrosion around the top of the front screen is a common cause of water leaks into the cabin that cannot normally be cured by mastic. To effect a proper repair the (bonded) screen has to come out. Tailgate lower edges can rust very severely and it looks very unsightly when it does. Also watch out for surface corrosion around the wiper mount and rear screen. This is a common problem on both cars, as dirt gets trapped here. A professional repair and painting will cost in the region of £200, although finding suitable repair panels is becoming increasingly difficult. Also lift carpets and check the tops of the suspension turrets from inside the car for any evidence of corrosion. Not only will this eventually result in MOT failure, but it won’t be easy or cheap to put right. Also check welds and joins. These are structural and any holes will result in MOT failure. Repairs with filler won’t do, so if you suspect anything give them a tap! It’s not uncommon for this to suffer from stone chips leaving it vulnerable to rust. Not a major problem in itself, but unsightly. Tends to suffer from stone chips resulting in small patches of surface rust. 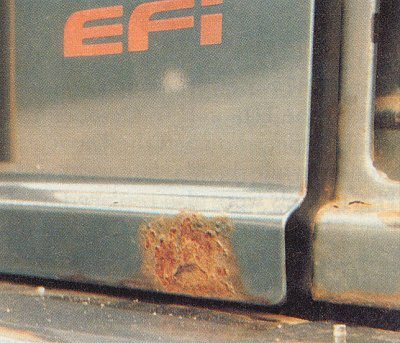 As dirt accumulates in the folds of the panels it will eventually rust its way out – sometimes very severely. Open up the rear doors and check the weld where these panels join. 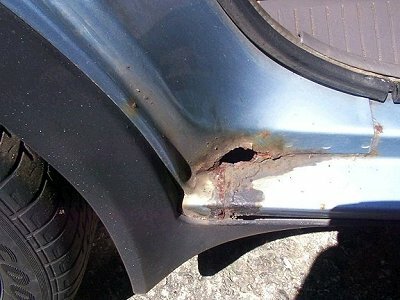 They can rust right through and if that happens you’ll need to get a new section welded in. The 1.3 “A” series engines are well proven and if maintained properly can run for high mileages without the need for major attention. They’re also easy to work on and most jobs can be completed at home without the need for special tools. Probably best avoided in the Montego though, these heavier cars being better suited to the larger engines. The 1.6 and 2.0 litre engines also tend to be durable and long lasting. Generally speaking these engines are excellent, but the electronic engine management system can cause problems particularly on earlier cars. The 2-litre O-series engine tends to be quite noisy on top by modern standards, and a slight but definite tick is normal. Valve clearances are controlled by shims, and specialist dealer tools are required for setting them up correctly. Although not usually a problem in itself, both engines tend to suffer from oil leaks. The O-Series in particular suffers as the result of a weakness in the design that allows oil to weep from the cylinder head gasket in area between the number 4 cylinder and the distributor cap. Oil leakage from the lower part of the engine/transmission, and especially from the bottom of the bell housing can indicate failure of the crankshaft oil seal, the replacement of which is an involved job. If you don’t have any history to go on, it’s important that the timing belt is renewed at the earliest opportunity. In the case of the 2-litre engines engine damage will certainly occur if the belt breaks. The diesel engine offered from mid-1988 was based on the O-Series unit that powered the 2-litre petrol cars, so it’s susceptible to the same problems. If properly maintained these engines will continue for very high mileages without major problems. Front wheel bearings on Maestros often fail and renewing them can be difficult. 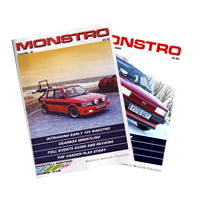 Some Montegos used alloy wheels requiring a metric-sized tyre and these can be expensive and difficult to get hold of. Many owners simply replace the wheels with more conventionally sized alloys. Otherwise the mechanics of both cars are fairly conventional, and therefore relatively easy to work on and obtain parts for. Also worth checking are driveshafts, steering components (especially where power steering is fitted), suspension and CV joints. Dashboard rattles are a problem particularly on pre-1986 Maestros with the original facia, and moulded dashboards can crack after years of exposure to sunlight. 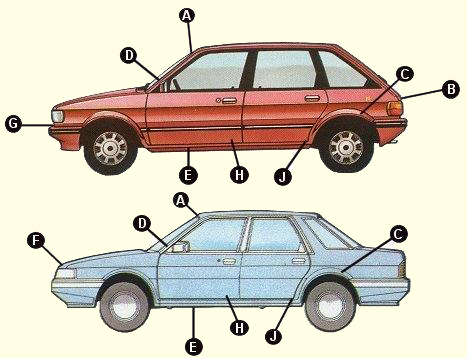 A lot of cars have cloth roof linings that are either torn, sagging or both. 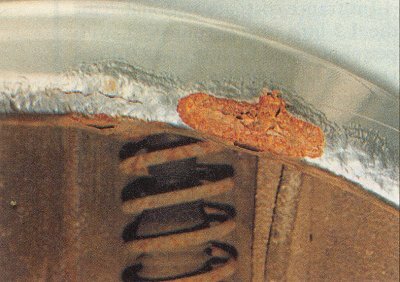 The glue that holds the fabric to its backing weakens with age and heat, not helped by the effects of condensation, and the only long-term solution to have it re-trimmed. 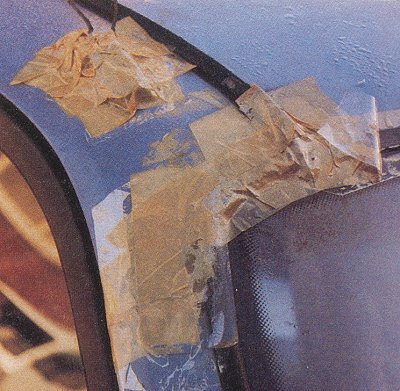 Lower spec early cars had a vinyl trim that doesn’t suffer from this problem. Otherwise interiors are tough, not to mention comfortable, and they tend to survive well. Not surprisingly, there’s plenty of scope for things to go wrong in this area in cars of the age we’re dealing with, but the good news is that problems are usually inexpensive to cure with parts obtained cheaply from breakers. Central locking is a common problem area and the chances are that if you’re looking at a car so equipped, one or more doors will refuse to work with the rest. This can either be the result of the failure of the motor or general stiffness that builds up within the lock mechanism and operating rods over time. It is not unusual for the heater unit to fail or refuse to operate on any setting other than full power. The cause is a simple one, but putting it right will require removal of the dash. Heater matrix failure is indicated by a pool of green fluid in the passenger footwell. Electric window control units can fail (replacement is a five minute job) and if you’re buying one of the particularly rare examples equipped with digital instrumentation and the trip computer check carefully that everything functions correctly. These units can fail prematurely and because they’re not available new, obtaining a replacement might not be easy. Here’s the good news. With price not being an issue you can afford to be picky. Stick with cars that have obviously been well cared for and with a known history and you won’t go far wrong. However, unless you’re after a particular car and you can afford the repair/restoration costs or are confident enough to be able to undertake them yourself, overall condition is crucial. We can’t stress this enough. Open every door and check every corner for rust or shoddy repairs, otherwise it will come back to haunt you later on. We often hear from people who have bought cars only to scrap them a few weeks later on realising the full extent of the work required and the costs involved. Although Maestros and Montegos are cheap to buy and run, garage labour definately isn’t! If you’re buying a car that needs work, you should be prepared for the cost and commitment that comes with it. If you intend keeping the car it will pay off in the end. 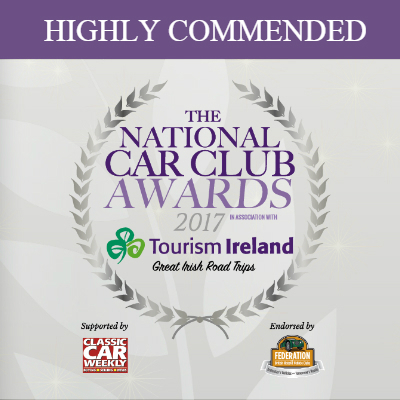 Our pick would be the 2-litre MGs for sheer driving enjoyment and effortlessly keeping up with modern traffic, the 1.3 Maestro Clubman for new drivers or economical motoring, or any of the durable diesel models.